This cyanotype was created from a chain metal headdress worn at medieval faires. The abstract pattern creates stars and swirls which seem to recede into the depths. This cyanotype is 8 inches x 10 inches in size. It is matted to an overall size of 11×14. It comes with the mat, backing, and a plastic bag which encloses them all. 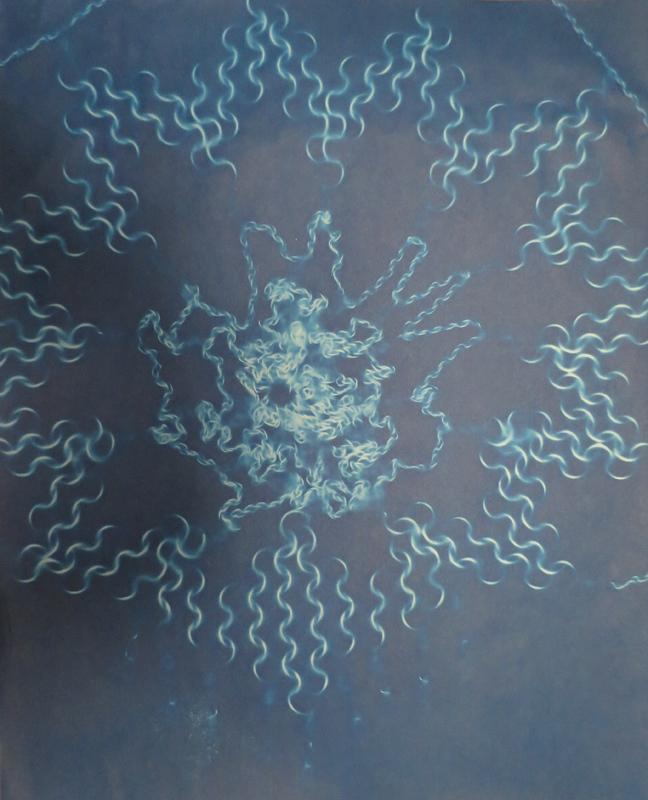 A cyanotype is created by mixing 8.1% potassium ferricyanide and 20% ferric ammonium citrate. The substance is sensitive to light. I then paint a surface with that concoction and lay objects on top of the paper. The shadows created by those objects leave a pattern. Each cyanotype is a one-of-a-kind hand crafted work of art. I create each cyanotype by hand myself. 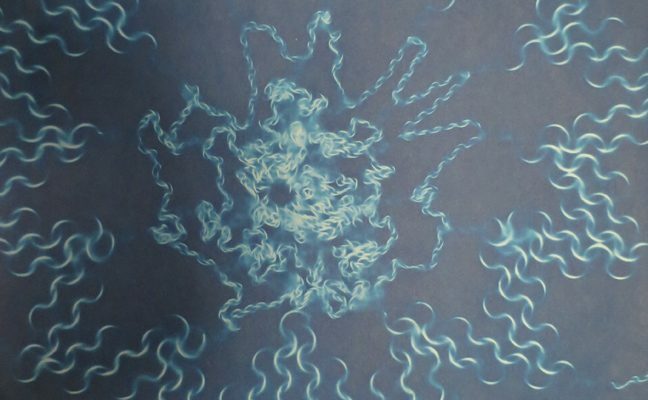 Every cyanotype is unique. Please feel free to ask with any questions!